This month’s posts have celebrated 25 years with my grandfather horse. 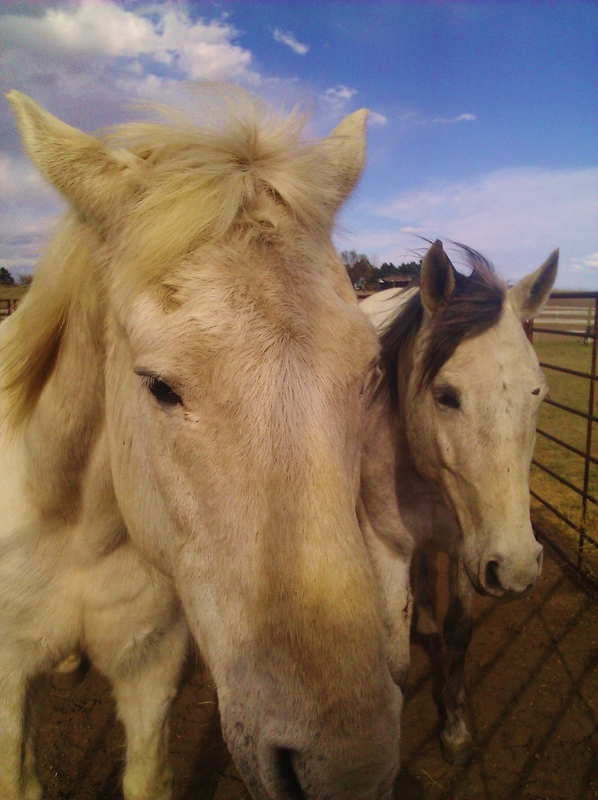 The first time I saw Spirit he was in a small pen, alone and wild eyed, scared to be away from his mom. I couldn’t get anywhere near him. Of course, I brought him home. Writing about Spirit this month, I’ve fallen in love all over again- no big surprise. From breed shows to reining to dressage, he has been my partner. How many times have I mucked his stall? Shared my watermelon? Called the vet? Altered my life for him? It’s easy to get unstuck in time remembering: I can close my eyes and I am on his back again. Spirit’s young, and we are galloping the old airstrip. I can lean forward and let his mane blow across my face like a stream of cool water. But that was then, this is now. Spirit has had a rough time lately. There was some nasty oral surgery two years ago, I’m not sure he has recuperated yet. And last winter, a bout of colitis that half killed both of us. He lies down more often; I know his old legs are so very tired. Last month he stopped eating hay. Now he spends the night in the veal pen, a run where I can give him a mush of beet pulp, alfalfa and senior supplements that he doesn’t have to share. It isn’t a crime to get old. During the day, he sleeps in the sun with his favorite friends. Every now and then, I apparently forget to lock the gate and he can break out. Somehow his legs hold and he flashes his tail- skittering his way to fresh grass. A little escape is like a tonic. We know our best years aren’t ahead of us. If you have read the first three of these anniversary posts (below), it might surprise you to know that Spirit isn’t an only horse, and by most judgments, not my best horse. He was always a challenging ride. And so many injuries- Spirit spent over 4 ½ years on stall rest over the course of his life. But if he wasn’t my best horse, then he broke trail with me in some way that made it easier for all the horses that followed. When my other horses did well, the credit was Spirit’s. This is my version of the Horse/Human Creation Story. In the beginning, Humans ate Horses. Some Neanderthals still do. About 25,000 years passed and one day a Human -I personally think it was a woman- heard a voice in her head that she didn’t recognize. It was a deep soft voice, like Barry White, only 5,956 years too soon. The Human looked for the cause of the voice and saw a Horse -I personally think it as a white horse. The Human was a bit unsettled, so the Horse took a deep breath and exhaled, and sure enough, the Human mimicked him. The Horse thought there might be a chance that this frail Human had a soul, so he offered his help. And that’s how man domesticated the Horse. Spirit is a word synonymous with soul- no coincidence. He and I are part of an ancient tradition of Horses and Humans, and it is time to pay the tradition forward. Spirit watched over Clara the night she was born 4 years ago, and Lord knows, he was been watching over me forever. It’s a bittersweet task, but I hope Spirit will stay and watch over Clara and me just a while longer. It would give us a leg up. We are better through his eyes. And I will hold for a time when Spirit and I can gallop on the old airstrip again, like prehistoric partners. For now, each day is one more chance to muck, and scratch, and thank Spirit for domesticating me. Spotless- My introduction to Dressage. Braids and Breeches: The Perfect Ride. I hoped readers would fill in their own horse’s name, thanks for your compliment, I appreciate hearing from you. Anna, thank you for sharing a bit of your wonderful journey with Spirit. I was inspired by your creation story. I have heard that same voice. How lucky we are to have our animal family. I like you am a much better person because of it. Lovely post. I had my old Noble, who was with me until he was 30, for 13 years and wish I’d had him for more. Love your domestication scenario . . .
Noble is a prefect name… thanks for commenting. Laughing out loud (“…like Barry White, only 5,956 years too soon ..”) with tears running down my cheeks. I’ve been in your shoes only too reciently and it makes my heart hurt to read this. No matter how long we have, it’s never enough time with the animals we love. I’ve so enjoyed your month of Spirit. If he can’t have many more (months) then I’ll just have to be content knowing you’ll make the ones he does have count. Okay, now you make me tear up. Yes, we are so blessed to have them, and yes, I am working hard because these months matter so much. Thank you for sharing, this path does have the full range of emotions attached. It is nice to hear from fellow travelers. Been very moved by your bond with Spirit – beautifully recounted, full of love and humour – thank you Anna!